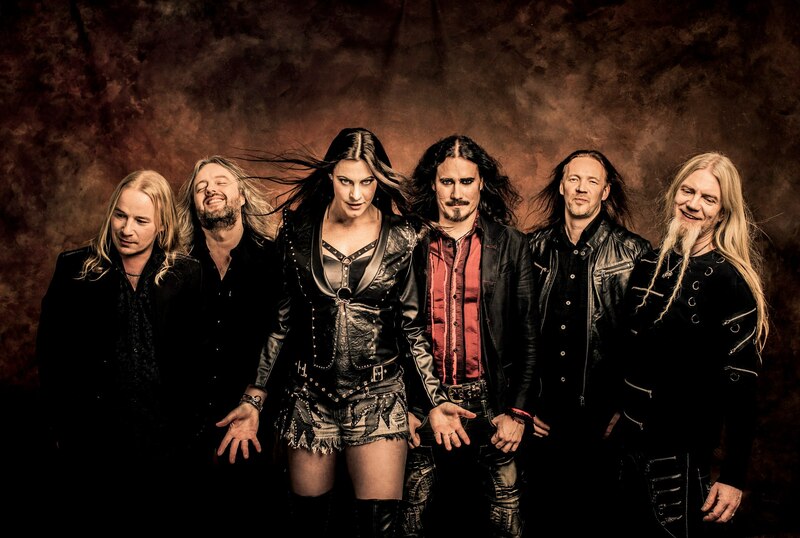 We are happy to welcome you on our web page, dedicated to the band Nightwish from Finland! Our fan club has gone a long way of forming and developing. After almost a year we became those who we are, namely a union of the people who live side by side with Tuomas Holpoainen's music! We were born as the largest community in the social network "VKontakte" which contains information about Nightwish band members, their songs, albums, discography, live shows and tours, for all the Russian-speaking people of CIS. Their music is the soundtrack to our lives and our hobby. We are glad to welcome here everyone who shares our views. On the pages of our fan club's website there is the detailed history of the band Nightwish, the members' biographies: the keyboardist's, the guitarist's, the bass player's, the pipes player's and the vocalists', and you can always find here the latest news in Russian, as well as the translations of the blogs and interviews. There is a special section of the website, which is dedicated to Nightwish discography, the making of such albums as Oceanborn, Wishmaster, Once, Imaginaerum etc. and the singles as well. In addition to that, on our fan club's web page you can find detailed information about every song from all the Nightwish albums, from such diamonds as Stargazers, Sleeping Sun, High Hopes to Amaranth, The Islander, Last Of The Wilds and the masterpiece The Greatest Show On Earth: lyrics, Russian translations, text explanations, the history of the making, official and live videos. Some songs are supplied with sheet music and chords. As soon as the new songs are released, the information about them is added to the website immediately. We wish that as many people as possible got inspired with our favoutite band's atmosphere, and therefore we have prepared for you the detailed information not only about Nightwish albums and songs, but also about the Imaginaerum movie. Here you will find out how the film was made, as well as read the selected comments from the band members. We have also prepared the plot summary for those who cannot wait. If you want to see the band after seenig the movie, not on the screen but on stage, we have got a page with videos of full Nightwish live shows with each of the singers, you can choose either professional videos or bootlegs taken by fans during the tour. In case for somebody there is not enough magic in supposedly the best Nightwish songs like Sleeping Sun, 10th Man Down, Eva and all the songs from the last album, you can find here a page about similar music. We did our best to make a complete list of the bands that are like Nightwish, to tell a bit about their bios and to bring some videos as an example, so that you could find something fresh for your playlist without going too far. In attempt to bring Nightwish shows during the tour as close as possible to those, who have not seen the band in their city yet, or those who are not able to get to the show, we post the latest photos, videos and concert reviews. But you can find not only live photos in our web gallery, there are also promo photos and the great amount of pictures for all the tastes and situations, including rare and archive photos. As the Russian Nightwish tour and the show in Belarus approach, we post the information about the shows, the dates, as well as the places where the fans can purchase the tickets to their favourite band's show, and the prices.